ASTM A350 is the standard specification covering carbon and low-alloy steel forged or ring-rolled flanges, forged fittings and valves intended primarily for low-temperature service and requiring notch toughness testing. 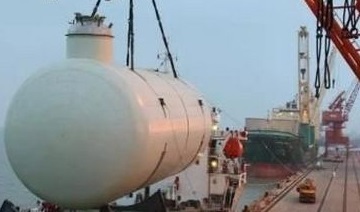 They are manufactured to corresponding ASME or API dimensional standards. The forgings may be made from ingots, blooms, billets, slabs or bars through hot-forging process. The steel shall be fully killed and fine-grain. ASTM A350 covers several grades and classes: Grade LF1, Grade LF2, Grade LF3, Grade LF5, Grade LF6, Grade LF9, Grade LF787; and Class 1, Class 2, Class 3. All the forgings supplied by Metals-Piping will be ultrasonically tested. Long welding neck flange(LWN), 2″ 900#, ASTM A350 LF3 CL1. *1. When vacuum carbon-deoxidation is required, the silicon content shall be 0.12% maximum. *2. For grades LF1, LF2 & LF6, the sum of Cu, Ni, Cr, V and Mo shall not exceed 1.00 % on heat analysis. *3. For all grades except grade LF787, the sum of Cr and Mo shall not exceed 0.32 % on heat analysis. *4. For grades LF1 & LF2, the limit for Cb may be increased up to 0.05 % on heat analysis and 0.06 % on product analysis. *5. The carbon equivalent C.E = [C + Mn/6 + (Cr + Mo + V)/5 + (Ni + Cu)/15] shall not exceed 0.45%. Grade/Class Tensile Strength Yield Strength, min. Elongation, min. Hardness, max. *1. The elongation values are on the basis of standard round specimen, or small proportional specimen, min % in 4D gauge length. *2. The yield strength shall be determined by either the 0.2 % offset method or the 0.5 % extension under load method. *A denotes minimum impact energy required for average of each set of three specimens. *B denotes minimum impact energy permitted for one specimen only of a set. * Applicable for specimens representing forging material with thickness ≥ 10 mm. * Straight-line interpolation for intermediate values is permitted. As specified by ASTM A350, after hot working and before reheating for heat treatment, the forging shall be allowed to cool substantially below the transformation range. 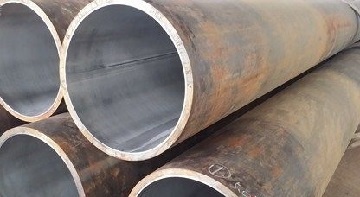 Forgings of grades other than Grade LF787 shall be furnished in the normalized, or normalized and tempered, or quenched and tempered condition. 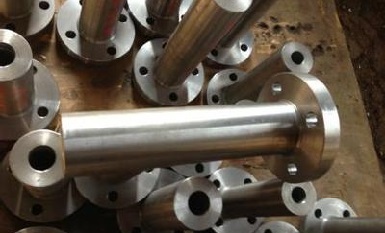 All quenched forgings shall be then tempered at 1100 °F [590 °C], minimum, holding at temperature a minimum of 30 min/in. [30 min/25 mm] of maximum thickness, but in no case less than 30 min. Grade LF787 forgings shall be furnished in either the normalized-and-precipitation heat treated condition or in the quenched-and-precipitation heat treated condition. 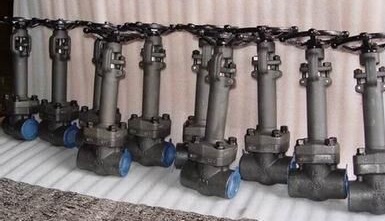 API 602 forged gate valves, body: ASTM A350 LF2 Class1, trim: SS 316, 2″ 900# SW.
For Grade LF1 and LF2 forgings, the weld metal shall be deposited using carbon steel electrodes E 7015, E 7016, or E 7018, complying with AWS A 5.1. For Grade LF2 forgings, the weld metal shall be deposited using low-alloy steel electrodes E 7015-A1; E 7016-A1, or E 7018-A1 complying with AWS 5.5; for Grade LF3 forgings, the weld metal shall be deposited using low-alloy steel electrodes E 8016-C2 or E 8018-C2 complying with AWS A 5.5; for Grades LF5, LF9, and LF787 forgings, the weld metal shall be deposited using low-alloy steel electrodes E 8016-C1 or E 8018-C1 complying withAWS A 5.5. 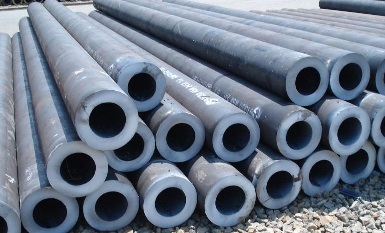 For Grade LF6, the electrodes shall be low-hydrogen, E-XX15, E-XX16, or E-XX18 complying with AWS A 5.1 or A 5.5, as applicable.